If you are new to digital marketing, understanding the complex jargon of this industry can be a challenge. In a world of CPC (cost-per-click), CTR (click-through rate) and PPC (pay-per-click) we’re all guilty of using acronyms that leave our clients and teammates confused. Two terms often misused are SEO and SEM. Search engine optimization (SEO) and search engine marketing (SEM) are confusing concepts to grasp. Although they work hand in hand, SEO and SEM do not mean the same thing. 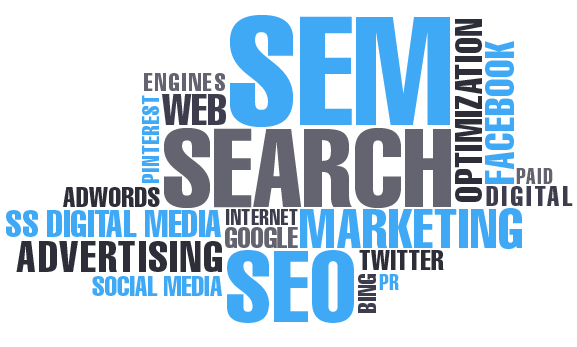 SEM, sometimes called pay-per-click (PPC) advertising, is the process of improving the visibility of your website in search engines. It involves running paid ads that target the keywords your customers are searching for on search engines like Google and Bing. For example, if a user searches for “patio furniture,” an advertiser can show an ad speaking to patio furniture and outdoor living. SEO involves optimizing your content for user search intent. It’s creating high-quality content and developing a seamless user experience (UX) that helps users get the information they’re looking for as quickly and easily as possible. Your goal is to increase your website’s rankings and performance, including click-through rate, in organic search. SEM includes more paid search tactics. SEO is all about the organic techniques to build credibility for search engines. • Keywords are key: Both organic and paid search need extensive keyword research to capture traffic from high-volume searches. The consequences of bidding on a low-volume keyword or including low-volume keywords in copy can be costly and can result in lost traffic to your website. • Optimize (and reoptimize): Neither SEO nor SEM are “set it and forget it” tactics. They both need ongoing tracking and optimization to ensure optimal performance and positive return on investment. Leveraging your website’s analytics is a great way to track organic and paid traffic trends over time — and can help inform future investments. • User behavior matters: Google (and other search engines) rely heavily on user behavior to understand if your search experience will be served up more frequently (SEO) or at a lower cost (SEM). Considering elements like load time, mobile accessibility and quality content that matches user intent can ensure both SEO and SEM strategies achieve your desired goals. SEM and SEO are like Netflix and your couch, or peanut butter and chocolate. They are better together. You can run a successful SEM campaign without SEO, but it might not take your business very far. You also can run an SEO campaign without investing in SEM, but it will take more time, and your business might not get the traffic it needs to stay competitive. It’s important to know your business and long-term goals to create an online marketing strategy that delivers results. If your business values a strong online presence and a positive return on investment, balancing the immediate results of SEM with a long-game SEO strategy is recommended. SEO and SEM can be an afterthought when planning ongoing marketing efforts. Consider these tactics for every campaign. Outsourcing to a marketing agency is a great solution for teams without a dedicated resource.